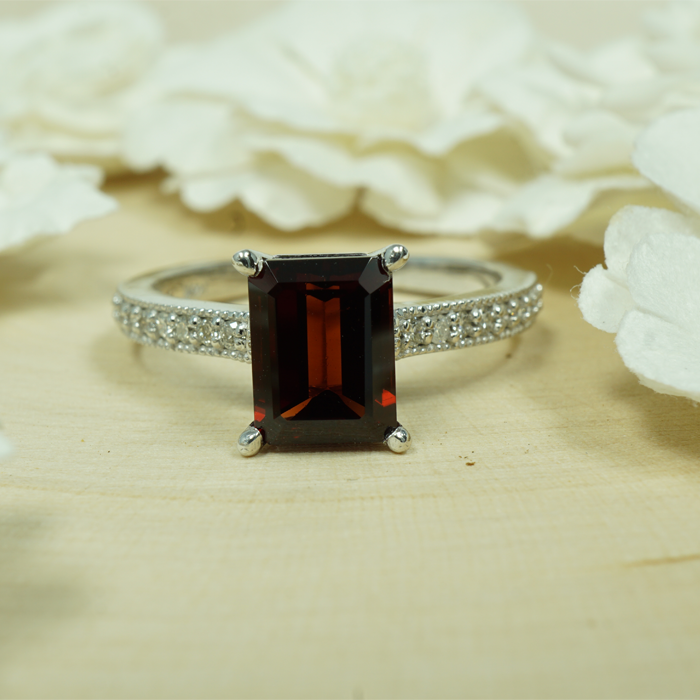 Distinguished by its varying shades of soft violet and deep purple, the semiprecious gemstone amethyst has been sought after for centuries for its natural beauty and allure. As a more translucent, coarse-grained variety of the silica mineral quartz, the amethyst gemstone has been in high demand as a symbol of wealth and power throughout history, often found in Egyptian royalty garments, British crowns, and other similar items. European soldiers from medieval times believed they had the power to help maintain focus and heal wounds, thus providing a strong source of protection while in battle. As with many gemstone names, the term “amethyst” originates from a Greek word – in this case: amethystos, which means “not intoxicated.” It is an ancient folk belief that those who possessed these precious stones were somehow able to prevent themselves from becoming drunk, which is why many wine goblets were carved from it. A common myth about the stone dates back to the mid-1500s and involves a god named Bacchus, the god of intoxication, who was denied affection by a maiden named Amethyste. After Amethyste prayed to the gods to remain pure, the chaste goddess Diana transformed her into a white stone. Rather than be upset with the situation, Bacchus chose to admire Amethyste's desire to remain unsullied and drenched the stone with wine as an offering to her, which stained the crystals a deep purple color. Amethyst is created in igneous, metamorphic and sedimentary rocks, in addition to hydrothermal veins, metasomatic rocks and deposits of volcanic hot springs. 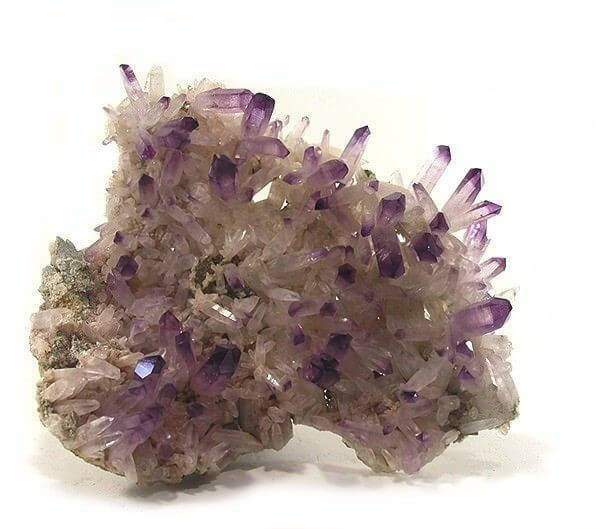 Although amethyst does have physical properties found in quartz, it also possesses more iron oxide (Fe 2 O 3 ) and manganese compounds than any other in the quartz family, which is believed to attribute to its unique color. Its crystal system is hexagonal and commonly forms as clusters of large, pyramid-like projections on a matrix base. The gem is generally found in small, short crystal pyramids, although some have been collected as long, more prismatic crystals. Amethyst can also generate in the inner lining of geodes, which can form in 10-feet clusters and weigh up to a few tons. Today, amethyst is recognized as February’s official birthstone, and is widely recommended by designers for its regal color, wide range of style cuts, affordability and varying hues from light to dark purple. It is a very abundant gem found in many regions across the globe, but a large number of stones have been collected from Brazil, Uruguay, Mexico, Africa, Russia, South Korea, Canada and North Carolina.